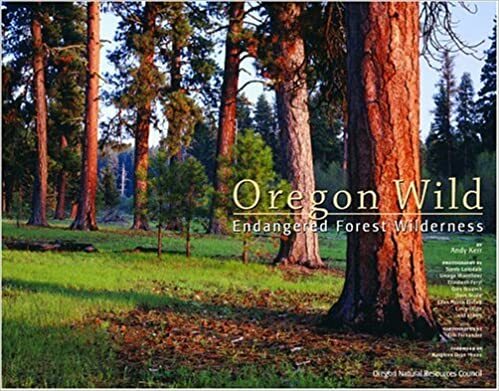 Kerr is a conservationist, and author of Oregon Desert Guide: 70 Hikes and Oregon Wild: Endangered Forest Wilderness. He consults for several public lands and wildlife conservation organizations throughout the American West. “The federal public lands in Harney County are conservatively worth $3 billion. If the federal government wanted to sell the lands at fair market value and if Harney County wanted to buy them, the 7,000-plus residents of Harney County would be on the hook for at least $421,000 each. “While Harney County has a very large amount of federal public lands, it is a county about the same size as the entire state of Massachusetts. While about 75 percent of the land in Harney County is administered by the federal government as national forest, national wildlife refuge, national wilderness, national wild and scenic river or other national public land, for every Harney County citizen there are 230 acres of private land in the county, while for every citizen of the United States there are just four acres. “Those who call for federal public land being given over to the states (or counties) are aiding those who want to privatize our federal land heritage to benefit corporate greed. Consider the history of western public lands. Most states sold any lands they received upon statehood as fast as they could to private interests, often fraudulently. In Oregon, a U.S. senator, John H. Mitchell, was sentenced to jail for such crimes.